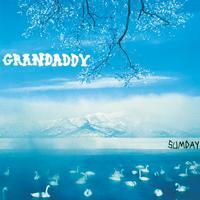 Three years after the critically acclaimed The Sophtware Slump, Grandaddy returned with Sumday. Like The Sophtware Slump, on Sumday the band attempts to reconcile the technological with the personal, both musically and lyrically. The solar-powered space pop combo Grandaddy was formed in 1992 in Modesto, CA, by singer/guitarist/keyboardist Jason Lytle, bassist Kevin Garcia, and drummer Aaron Burtch. Although a noisy, lo-fi approach characterized early recordings like 1994's Complex Party Come Along Theories, the addition of guitarist Jim Fairchild and keyboardist Tim Dryden in 1995 expanded the band's sound exponentially.